On Saturday, April 7 (8.45pm CET, Movistar Partidazo), FC Barcelona will receive Leganés at the Camp Nou. 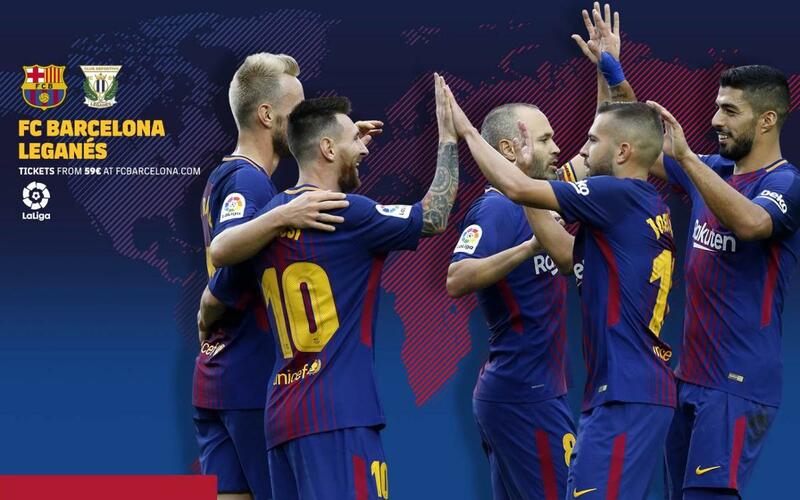 The Blaugrana will seek to continue their unbeaten run and keep the same distance between them and their pursuers. The game will be of special interest since Ernesto Valverde’s side can match the all time record of 38 consecutive unbeaten League games, currently held by the 1979/80 Real Sociedad side. In the first game between the sides this season, the Blaugrana won 3-0 thanks to a double from Luis Suárez and a goal from Paulinho, and on Saturday, Barça play a rival that are comfortable in 14th position but are not yet mathematically safe from relegation. The match will be played three days before the team travels to Rome to play the return leg of the Champions League quarter final.